Dr. Brian Looney founded the Advanced Injury Treatment Center in 1999. He is originally from Merrimack, NH. He earned a Doctorate degree in Physical Therapy from Franklin Pierce University, a Doctorate degree in Chiropractic from Life University, a Bachelor’s degree from Springfield College in Health Fitness, and a Associates degree from Dean Junior College in Sports Management. Brian is certified in the Selective Functional Movement Assessment, full-body certified in Active Release Technique, certified in Manual Adhesion Release , certified in Graston Technique, and certified in Dry Needling. Additionally, Brian is certified with the National Strength and Conditioning Association as a Strength and Conditioning Specialist. 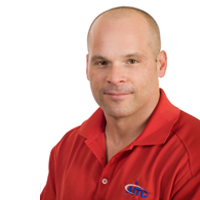 Brian works with professional, college, high school, and recreational athletes of all levels. Brian lives in Bedford with his wife Krisy and three children Sophia, Ronan, and Quinn. Read the most recent publication by Brian on how to manage Plantar Heel Pain from the Graston technique and home care.